Mobile avoidance sanctuaries, chinook enhancement, specific predator control and habitat rehabilitation can help both SRKW recover and for coastal communities to thrive. Watch the Coastal Alliance and SFI clip above and visit SRKW.org for more information. The Standing Committee on Fisheries and Oceans Canada was tasked to study the Situation of Endangered Whales and provide a report – December 2018. The Standing committee heard from many witness over the fall of 2018 regarding whales, SRKW, Beluga and Right Whales, in Canadian waters. Owen Bird and Martin Paish, SFI, appeared in Ottawa on October 30 and provided comments about SRKW and consultation to date. The linked report provides recommendations including ensuring that socio-economic information is gathered and properly considered, that local and traditional knowledge is incorporated in findings, that enhancement of Chinook stocks be initiated and specific predator control plans be developed and implemented. 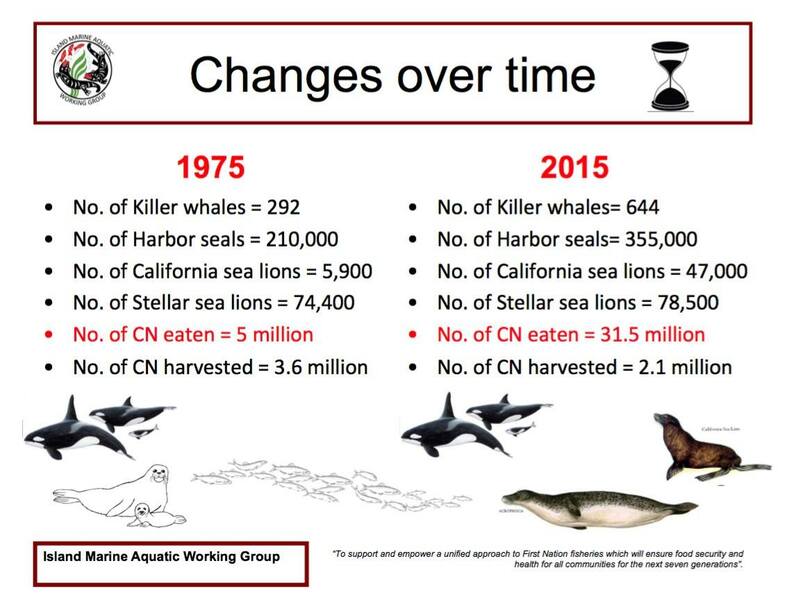 November 2018 – The Truth about Orcas, Seals and Chinook: A PSF Presentation Scientists Dr. Brian Riddell and Dr. Andrew Trites address how we got here and what needs to be done in a presentation hosted by the Pacific Salmon Foundation. 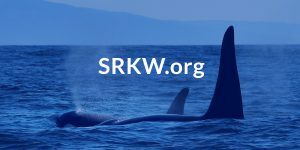 There has been discussion about the health of Southern Resident Killer Whales over many years, a symposium in the fall of 2017 and associated comments by the Fisheries Minister at the time, the Honourable Dominic Leblanc, signaled an interest and a call to action by government to make changes to the circumstances and environment that SRKW currently find themselves. While the approach to Southern Resident Killer Whale recovery efforts will likely be multi-faceted there would seem little doubt that the recreational sector needs to be aware of the issue and prepared to modify activities so that we can be a part of the recovery of these magnificent animals. While scientific studies agree that ceasing harvest will not provide the desired increase in abundance of Chinook salmon for SRKW, there is evidence that increasing production of chinook salmon and addressing marine noise and disturbances should help. Reduction of marine noise can be affected immediately by reducing speeds and agreeing to leave a wide corridor around moving Killer Whales. Increasing numbers of Chinook salmon, Killer Whales preferred food, can take place relatively quickly and can be augmented and enhanced through use of ocean pens to temporarily hold and feed juvenile Chinook. The survival rates of juvenile salmon held even for a month in an ocean pen is as much as 10 times higher, from 3% to as high as 30%, than that of fry or smolt entering the ocean directly from estuarine or river environments. A combination of reduced interaction or interference with the whales as they try to feed and forage and a concerted effort to increase production of Chinook salmon generally and particularly using ocean net pens to briefly hold and feed juveniles would by, many accounts, go a long way to aiding in the recovery of these fantastic animals. We will dedicate this space to provide updates and links to important and relevant information on the subject. Be Whale Wise – a promotional effort and website aimed at spreading the word to Pacific Northwest residents about the regulations that govern human-whale interaction.